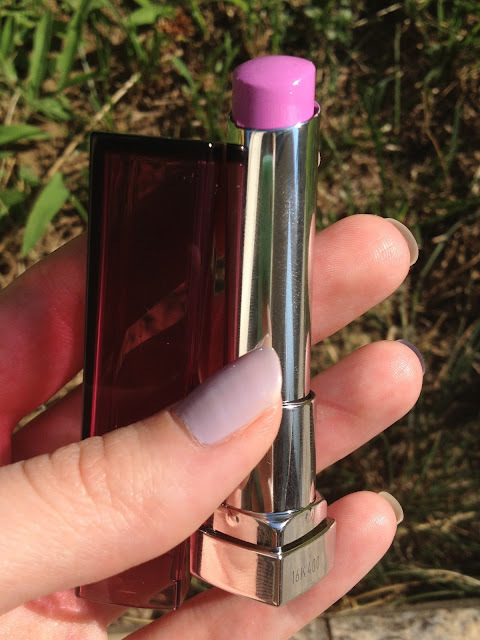 I have been searching for the Maybelline Color Whisper Lipsticks since they released in the US, which was at the beginning of spring I believe. 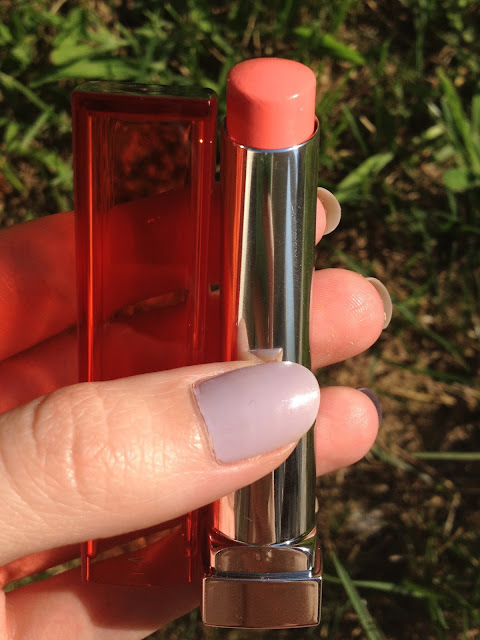 They are a sheer lipstick with the consistency of a lip balm, making them very hydrating but still giving colour. I must say some have more pigmentation than others as I could swatch them in store before buying. I chose two colours from the collection , a coral and a lilac one, but don't worry the lilac doesn't look purple-y on the lips. 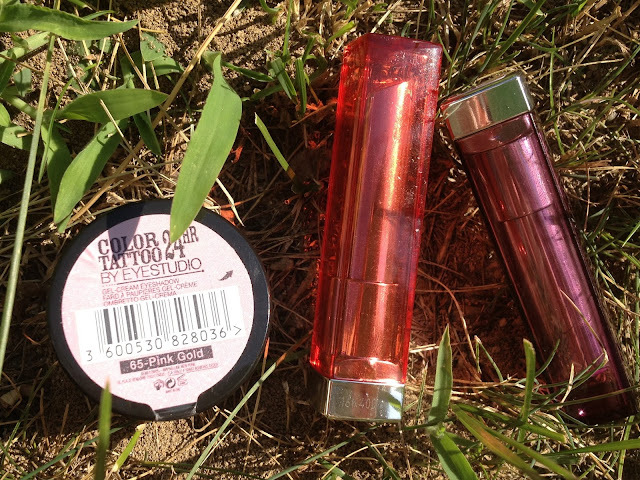 The purple one is called "Oh la lilac " and the coral one "Coral ambition". 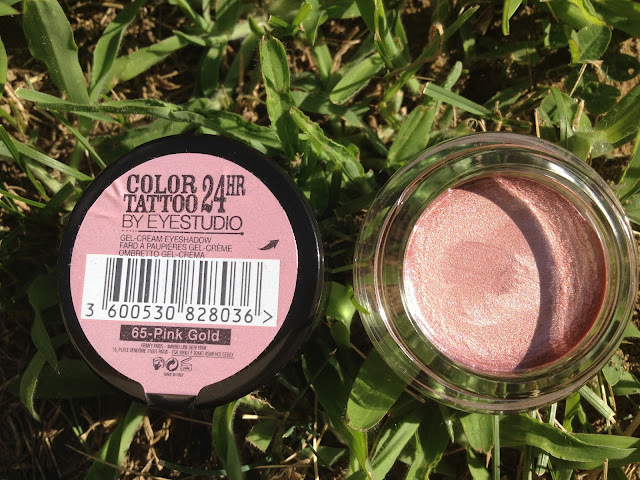 The Maybelline 24Hour Tattoo is a cream shadow and I already own some of the other colours ,so I had given it some serious thought if I should buy a new colour.This time I chose the colour "Pink Gold",the names differ from the american names, there it's called Inked in Pink I believe.